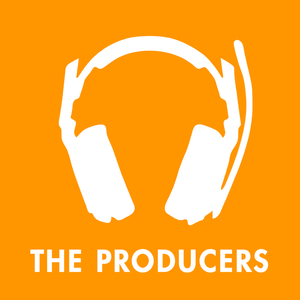 We found 10 episodes of The Producers with the tag “#podcast”. Tom proves he deserved the 1999 "Best Scrabble Player Alive" award and I dissect a Chipotle burrito bowl to see just how much food we are actually getting. Nolan just got a bike and he's really excited and I just found out that I got accepted into NASA's Stop Jupiter task force. We’re back Coalitionerds! The Coalition Theater is about to get uncomfortably close to your ear drums with the brand new episode of the Coalition LIVE! Podcast hosted by Matthew Forehand! Don’t miss this live recording featuring some of the theater’s own chatting about hard hitting subjects such as how they take their coffee, what their zodiac sign is, or maybe even some funny stories from days long past. Tonight’s episode of Coalition LIVE! guest stars Coalition houseteam emeritus, Ambassador! Taylor and I see a man about a horse. Daniel goes over this years Ford lineup and picks out his next car and I learn how to make my own pasta. Kimberly wins a keyboard contest and I make a mountain out of a molehill and back into a molehill again. Pat brings his fingerboards and reenacts Tony Hawks first ever 900º and I shuffle a deck of cards, thoroughly. Matt makes a YouTube video about ironing short-sleeved button-down shirts and I entertain a small child while his parents take the evening to themselves.